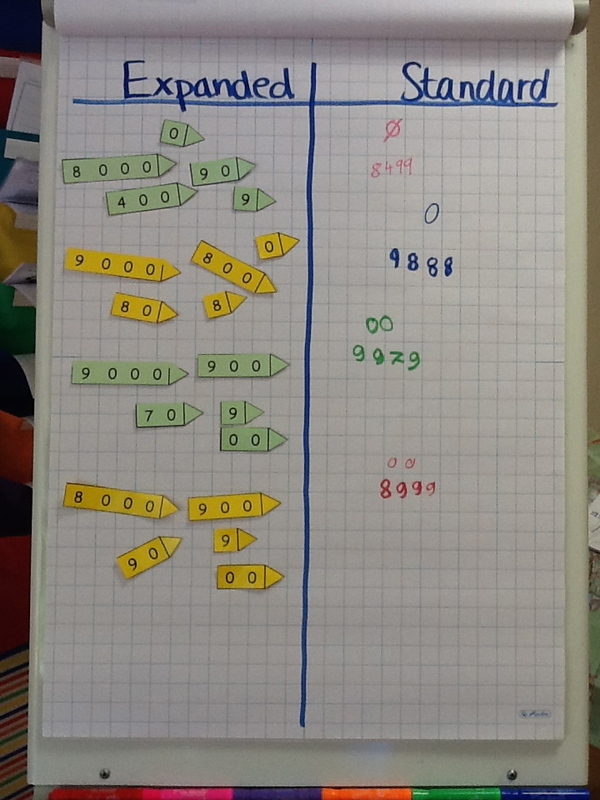 How do you teach place value? Do you give it much thought or is it just part of your textbook curriculum? I ask because until this year I really didn’t give it much thought either. Like many I spent part of my summer reading Guided Math by Laney Sammons and have set some goals (hopefully attainable) for myself this academic year. One of these goals was to use Math Journals with more forethought and execution. With this goal in mind I took the whole first week of instruction and focused on place value and a review of base 10 with my kids. 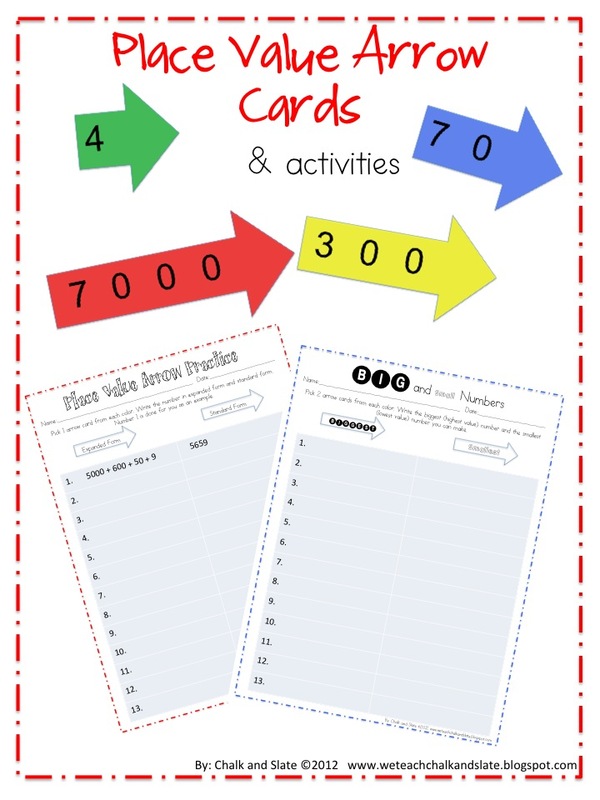 We did some hands on work with manipulative, some group work and partner work and some great activities with my favorite place value tool…the Arrow Cards. For our Math Journals we worked together with sets of base 10 problems. We cut them out, glued them in and answered our investigation questions using them. It was a great review for all of 3rd grade. Next I split the class into small groups and gave them each a mixed set of arrow cards. I made sure not to give them the same exact set. I asked them to find the largest and smallest value they could find. 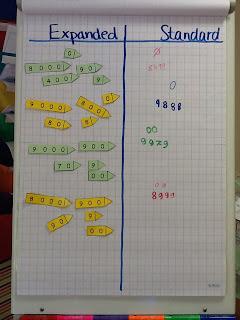 We then had each group present their largest and smallest number to the rest of the class. 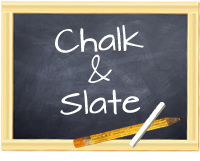 The kids really enjoyed this activity and helped them to understand the vocabulary that we were using as well. 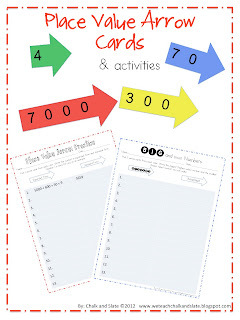 Because Arrow Cards are not readily available for all my kids I created my own set and two fun activities to go with them. Love these! I can see that this is very visual for the students. Do they only go to the thousands place? Looking for those arrow cards that go into the millions place. (Have used this website in the past - but like your cards because of the hands on piece: Crickweb Numeracy Tools. 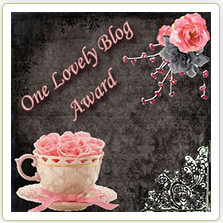 Love your blog and am your newest follower on TpT!